Prescription strength Differin® gel has recently been released over-the-counter. While this drug was originally prescribed to people suffering from acne, many people are buying it for its possible anti-aging effects. Is this product good at reducing wrinkles and fine lines and preventing them? The verdict is still out on its effectiveness in both of these areas. However, users who don’t suffer from acne report that it has improved the appearance of their skin. This could be why wrinkles and/or fine lines may be less noticeable with consistent use. Differin gel has adapalene in it. This is a topical retinoid, or derivative of vitamin A. The formula acts like a kerotolytic. This means that it causes the bond between skin cells to loosen. When this happens, old cells fall off so that new cells can form in their place. When this occurs, skin texture improves and age spots and discolorations are noticeably lighter. Adapalene can cause burning and/or stinging when first applied to the skin. This sensation does subside after about a month of use. This product can cause the skin to become overly sensitive to the sun, which could lead to sunburns and/or sun damage. Applying sunscreen throughout the day is a necessity while using this topical drug. Research has not found Differin to be a definitive treatment for wrinkles and fine lines. It has shown that it can treat acne while improving skin texture and tone. Some individuals have seen fewer wrinkles because of these effects, but until there is verifiable clinical proof, we can’t confirm that it’s worth using for anti-aging purposes. When looking for a remedy for wrinkles and fine lines, it’s best to go a route that has been shown to work. BOTOX® and fillers have been shown to reduce the appearance of wrinkles and fine lines. Many people have seen positive effects from treatment in as little as one day after injection. Want to see some of my clients’ before and after pictures after BOTOX? Click here. 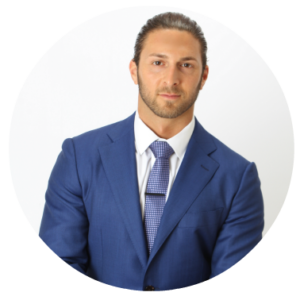 James Christian Sardelli, RPA-C, specializes in aesthetic injections and believes in the effectiveness of BOTOX and fillers. For more information on how injectables can help you reduce the signs of aging, contact him at 1-844-iBOTOX-Now. Outside of business hours and on the weekends, call or text our 24/7 Cosmetic Concierge line at (917) 860-3113. You can also contact James here. *Differin® is a registered trademark of Galderma Laboratories, L.P.